The US Justice Department on Monday filed a civil lawsuit against Volkswagen AG for allegedly violating the Clean Air Act by installing illegal devices to impair emission control systems in nearly 600,000 vehicles. The allegations against Volkswagen, along with its Audi and Porsche units, carry penalties that could cost the automaker billions of dollars, a senior Justice Department official said. VW could face fines in theory exceeding $90 billion - or as much as $37,500 per vehicle per violation of the law, based on the complaint. In September, government regulators initially said VW could face fines in excess of $18 billion. "The United States will pursue all appropriate remedies against Volkswagen to redress the violations of our nation's clean air laws," said Assistant Attorney General John Cruden, head of the departments environment and natural resources division. The Justice Department lawsuit, filed on behalf of the Environmental Protection Agency, accuses Volkswagen of four counts of violating the US Clean Air Act, including tampering with the emissions control system and failing to report violations. "We're alleging that they knew what they were doing, they intentionally violated the law and that the consequences were significant to health," the senior Justice Department official said. The Justice Department has also been investigating criminal fraud allegations against Volkswagen for misleading US consumers and regulators. Criminal charges would require a higher burden of proof than the civil lawsuit. The civil lawsuit reflects the expanding number of allegations against Volkswagen since the company first admitted in September to installing cheat devices in several of its 2.0 liter diesel vehicle models. The US lawsuit also alleges that Volkswagen gamed emissions controls in many of its 3.0 liter diesel models, including the Audi Q7, and the Porsche Cayenne. 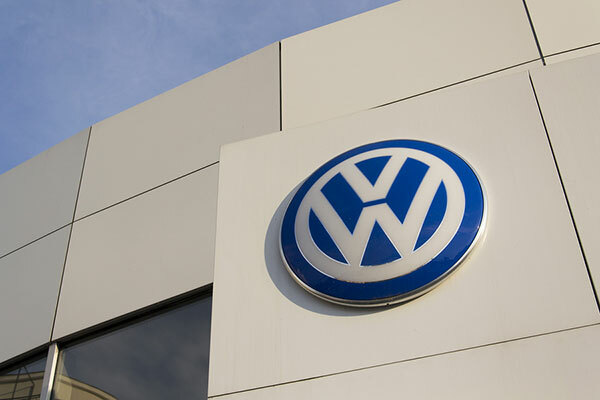 Volkswagen's earlier admissions eliminate almost any possibility that the automaker could defend itself in court, Daniel Riesel of Sive, Paget & Riesel P.C, who defends companies accused of environmental crimes, said. "Volkswagen will continue to work cooperatively with the EPA on developing remedies to bring the TDI vehicles into full compliance with regulations as soon as possible. In addition, we are working with Kenneth Feinberg to develop an independent, fair and swift process for resolving private consumer claims relating to these issues," Volkswagen said in a statement. "We will continue to cooperate with all government agencies investigating these matters."